A mistake a lot of new artists make when presenting themselves to the public is a lack of congruence. As you begin to develop as an artist, be sure to take time to decide how you would like to brand yourself. What do you want people to automatically think of when your name is mentioned? Whatever you decide, keep to it. When creating music videos or merchandise for a new project, pick a color palette, style, fonts, and tone of message — and stick to it. People recognize sloppiness. Be on the same page with your bandmates and manager so that your message and image is consistent. People will be watching you and building credibility among fans is essential. Keep this in mind when posting on social media. If you want people to take you seriously as an artist and get to the next step, cultivate your brand and master it. Social media platforms are one of the easiest and most beneficial ways so market yourself as an artist. Having a strong online presence is essential for growth among the public. Platforms like Twitter, give you the opportunity to connect with fans or reach out to people who can help promote your music and give feedback. As much as social media allows unlimited branding for your music, it is only as helpful as the effort you put into it. If you want gain the full advantages of these platforms, be sure to stay on top of managing your social media by posting to your profiles regularly and responding quickly to anyone that interacts with you. “It’s not what you know, it’s who you know.” Although this phrase may be a bit overused, it has strong meaning behind it. Making connections, especially in the music industry, is such an important part of growing your brand as an artist. Send emails. Shake hands. Remember names. People will have a positive impression of you, or at least remember who you are, simply for taking the initiative to reach out. Again, the internet can play a huge role in your networking endeavors. Reaching out to people in the industry via email to review your music can help get you to the next step. Be sure to include links to your music and social media when asking for a review. Publicity and promotion is key. These areas are key steps to take when marketing yourself as an artist. 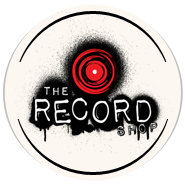 If you’re not sure where to start, The Record Shop Nashville is here to help. We’re passionate about supporting the vision you have for your music and helping you reach your goals as an artist.